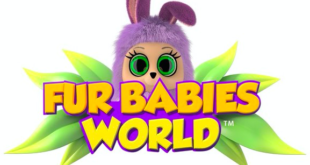 The move comes as Bush Baby World continues to gather momentum in the region, with reports of significant growth in sales of the collectable toy range emerging. Toys in the region are currently distributed by Maki and through the Nordic Toys group. The brand has already achieved great success in the UK through its toy line and YouTube series, making the US move – where it will be marketed as Fur Babies World – an exciting development for the brand’s owners. Alligator Productions, Blueprint Collections and Immediate Media have each come on board with the popular kids' brand.